The house settles a bit. This is Dallas, after all. The soil is slightly unstable. Cracks appear in the walls. They’re easy to ignore for a while. 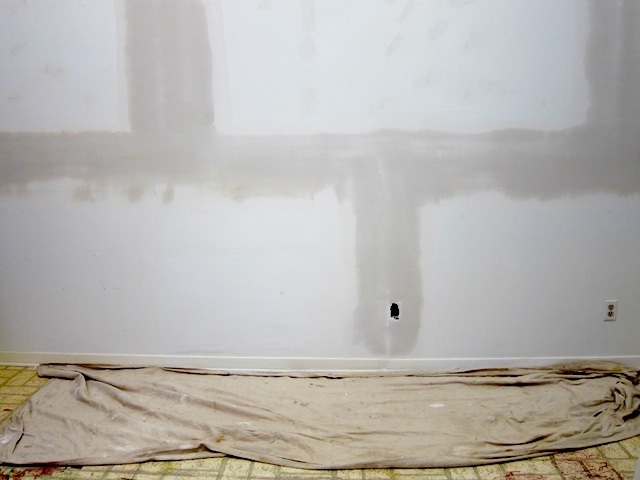 Then the painter has to be called. 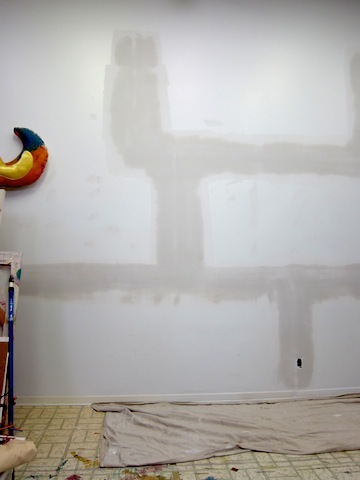 That painter. The one who can tape, bed, texture and paint. 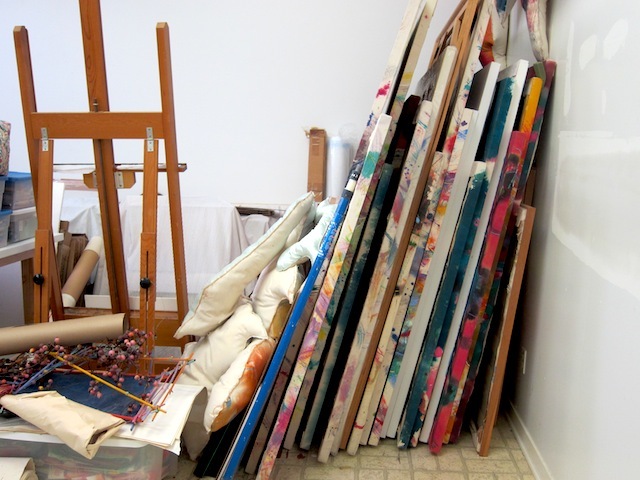 I had ignored the cracks in my studio walls and ceiling for too long, mainly because I dreaded the task of shifting large canvases and “stuff” to other parts of the studio. It took a bit of thinking to figure out which other parts of the studio could be the recipients. This is my Dallas studio, the second story of the house we built in 1972. 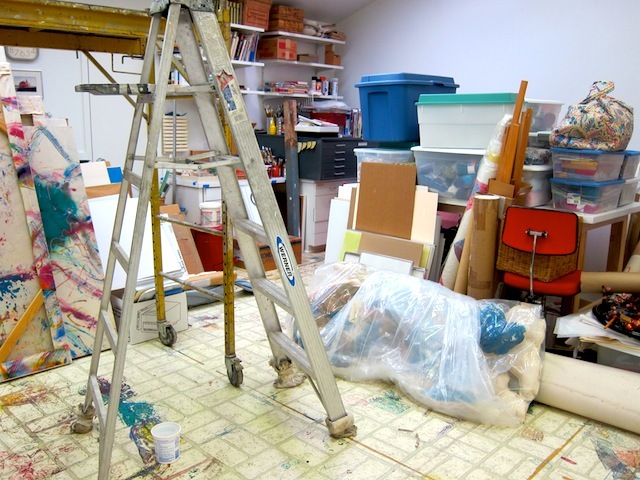 I’ve worked here all through the years my kids were growing up, through grad school (University of North Texas – MFA) and a variety of art and non- art related work experiences. The studio has served me well. 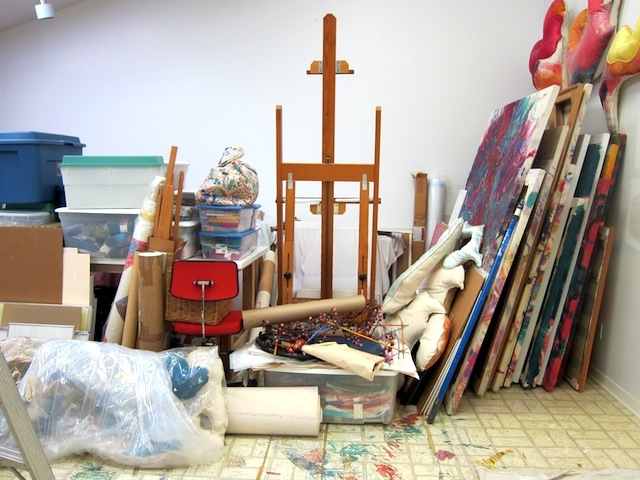 It was primarily a painting studio. I was exposed to printmaking in graduate school. I loved it and continued with it later by taking courses at one of the local community colleges. The MacDowell Colony accepted me for printmaking and I spent almost a month there in my own studio with my very own press. I longed to have one but knew the floor upstairs couldn’t handle the weight. 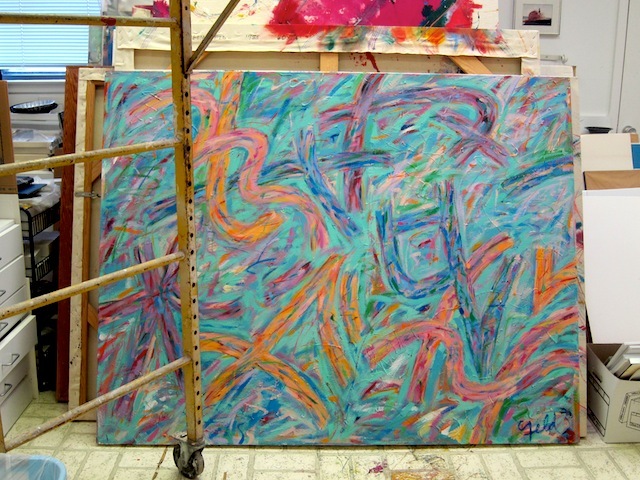 My dream came through in 2000 when we built an art studio at our farm north of Dallas. 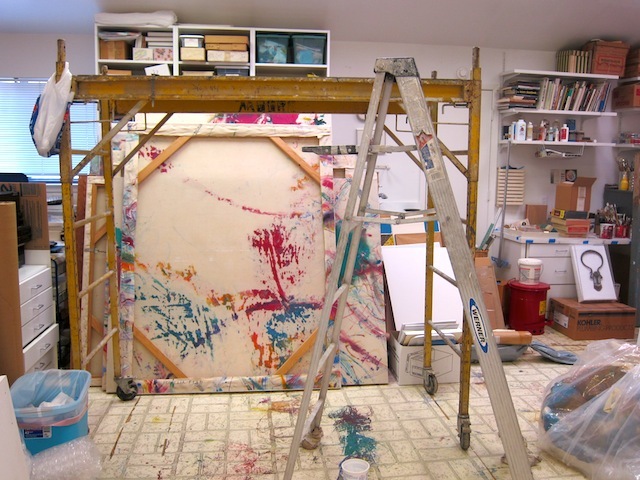 I designed the studio to accommodate a large Takach etching press. Takach presses are handmade in Albuquerque NM and are beautiful machines. 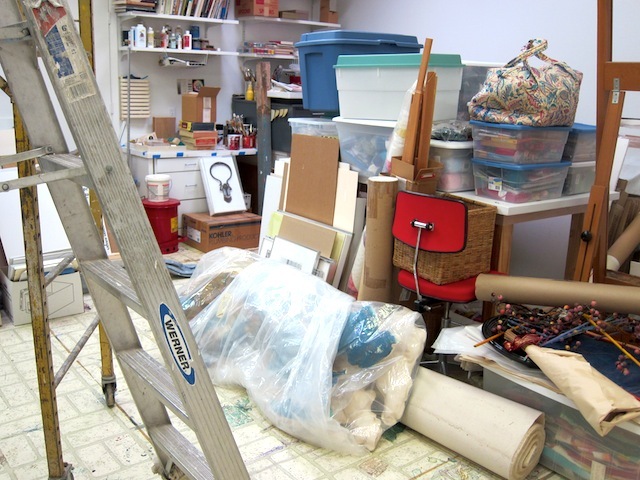 The studio is large and well lit and I can also paint, make collages and use my computer and printer for my photography. 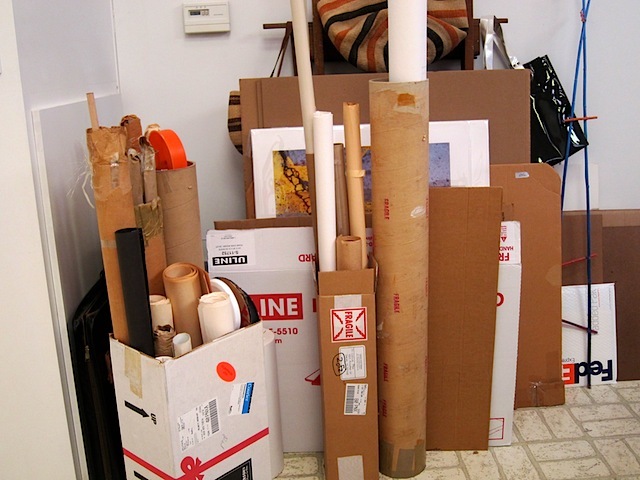 As I moved things around in preparation for the painters I realized how much “stuff” an artist collects. I’m sure I’m not the only one. Not quite hoarders, but close. Cardboard and bubble wrap. Frames, frames and more frames. A roll of canvas so large and heavy I can hardly move it, but hey, it cost less per foot that way, right? An unexpected delight came from moving the paintings. I saw paintings like this one I had not seen in years. Those who know me know I have been a lifelong knitter. You knitters know about the ever growing “yarn stash.” I have that, too. 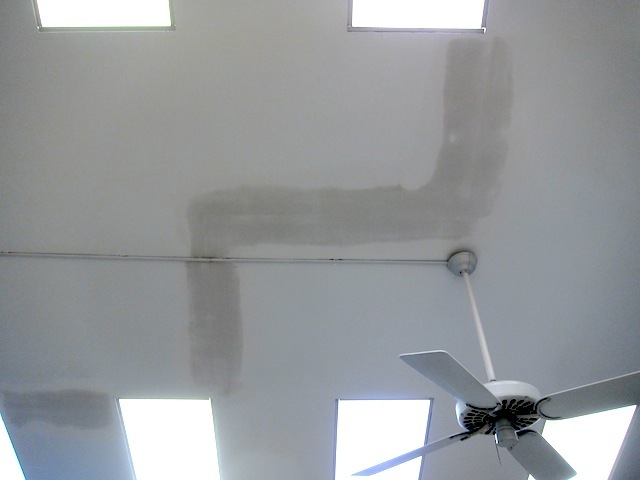 I’m announcing my goal to not put back every single item once the painters are finished. Donate or throw away. I hope. Meanwhile, here a few pictures of the studio as it looks during this transition. Any volunteers for putting things back?